Patrick and Adam Riske are coming to a different kind of jungle. The IMDb trivia section for Predator 2 is 100% Mountain Dew-fueled, fan fiction insanity. How has "100% Mountain-Dew fueled, fan fiction insanity" never ended up on a poster or trailer before? I TOO thought the police chief was Richard Donner for more than a decade. Sign me up for the Lost in Space podcast. Great episode as always! Btw, the police chief is played by Richard Donner’s cousin, Steve Kahan. I always thought the same thing for years and years. Very strange. Wonder why that is? Great episode this week!! Excellent! I felt the same about Flower. It just felt silly after a while. 90s action is awesome! Agreed agreed that the trailer for A Star is Born is extremely effective. By all accounts, the movie is just as good as the trailer would suggest, and that makes me very happy. It’s probably my most anticipated movie for the remainder of the year. This podcast went up only a few hours after I rewatched Predator 2 and Predators. And for the most part, I rewatched both because of the defense of them here! It's weird how things come together sometimes. 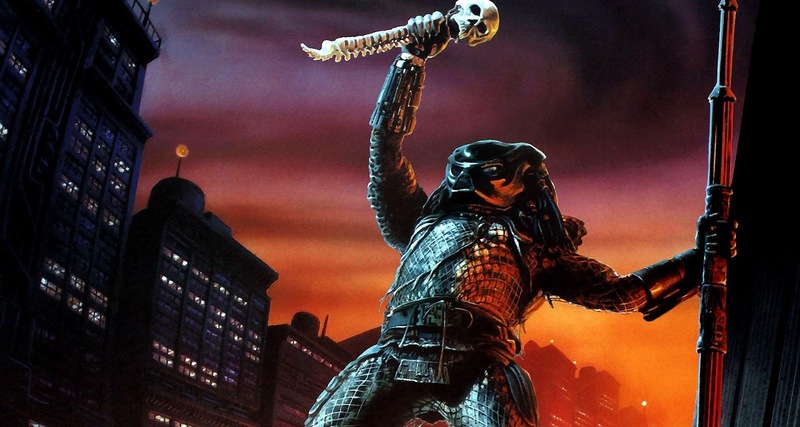 Predator 2 had been a pretty forgettable movie for me in the past. Seeing it now, I recognized a lot more in it than I really ever did before. It hit me more as a satire, a la Robocop, especially with the Morton Downey Jr tv show aspect. This viewing was a lot more fun. It moved me to Google some defenses of the film, from John Kenneth Muir and the like. And then this week's podcast dropped and I was like, Cool! As was my viewing of Predators. I'd seen it in 2010, but I didn't respond to it all that much. I thought it was okay, but nothing more than that. It was the defense of it here and the drive home after seeing The Predator (which I didn't hate, but I do have quibbles about, towards Shane Black and the usual anger towards 20th Century Fox), that pushed me to stop at Walmart and pick up the new 3 movie steelbook. These rewatches of Predator 2 and Predators were a lot of fun and I have you guys to thank for it. It's cool that it also led to a Predator 2 podcast. Next up: I need to listen to the commentaries on the blu ray. I have to add: whereas while watching the film the other night, I assumed perhaps different predators were taking turns hunting each night, the thought that this was all just one predator going on its Predator rumspringa -- I'm just not going to be able to get that out of my head! Funny, I always thought of the Predators in the end as guys on like a bachelor party hunt. I got the jungle! I got Japan! Where's Dan? Oh crap that dude totally smoked him. Lol, Dan. Even lost his arm. Watching this after the Predator was really a treat. The music and the tone are just right. I shouldn't be surprised how important those are. Predator 2 is a lot better than the reputation it seems to have. It's from a great era of action/sci-fi cheese and has the true Predator spirit and gore. Many little details to keep you occupied.